Nakuru is the fourth-largest city in Kenya, the capital of Nakuru County and former capital of the Rift Valley Province. It has 307,990 inhabitants, making it the largest urban centre in the Kenyan mid-west with Eldoret in Uasin Gishu following closely behind. Nakuru lies about 1,850 m above sea level. The history of Nakuru can perhaps be traced to the prehistoric period due to the archaeological discoveries located about 8 km from the Central Business District at the Hyrax Hill reserve. Nakuru is Kenya's 4th largest urban centre with a population of 307,990. (The modern town, as with many others in Kenya, derives its name from the Maasai speaking people of Kenya.) Nakuru was established by the British as part of the White highlands during the colonial era and it has continued growing into a cosmopolitan city. It received township status in 1904 and became a municipality in 1952. 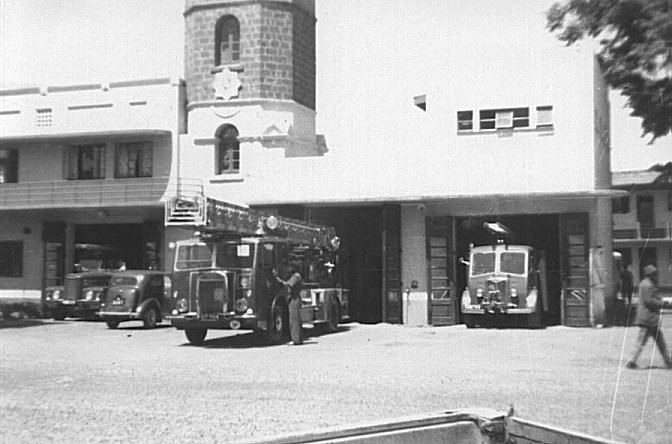 The history of Kenya as a country is closely intertwined with that of Nakuru as a town and a district which is now a county. The first and second presidents of Kenya (Jomo Kenyatta, and Daniel arap Moi) maintained their semi-official residences within the city. The city for a long time has been a hotbed of Kenyan politics and it was home to a variety of colourful politicians including the late Kariuki Chotara, Kihika Kimani and the late Mirugi Kariuki and Koigi Wamwere. In 2006, the then MP, Mirugi Kariuki was killed in a plane crash in Marsabit on his way to a peace meeting. The crash also killed five other members of parliament. The ensuing by-election was contested and won by his son, William Kariuki Mirugi of the Narc-Kenya party. At the age of 27, Hon. William Kariuki Mirugi became one of the youngest members of parliament to represent Nakuru Town Constituency. He was however defeated by Lee Kinyanjui during the 2007 general elections beating his close rival Pastor Mike Brawan. The 2007 post-election violence also took a toll on the town, with dozens of buildings burnt to the ground by various factions. 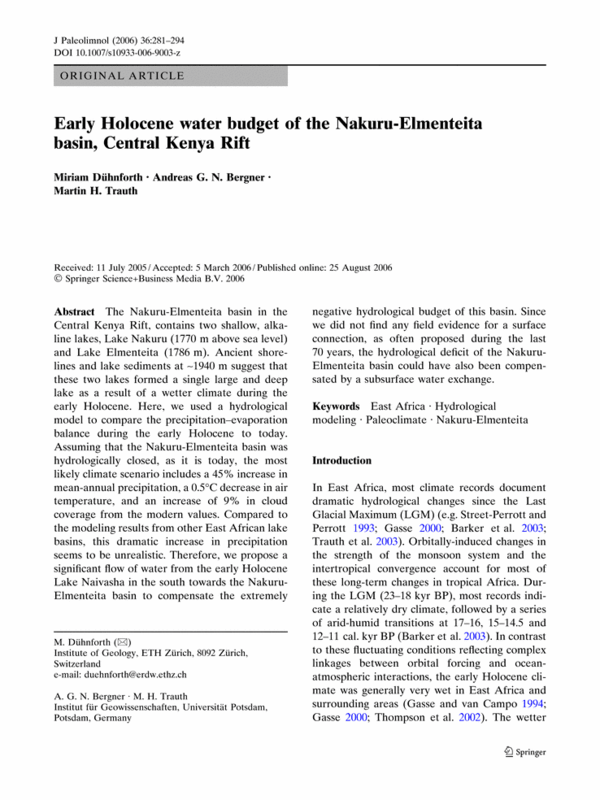 The city of Nakuru is situated in Nakuru County, Kenya. It is located along Kenyatta avenue in Nakuru, Nakuru county, Kenya. Small-scale agriculture, manufacturing and tourism are the backbone of the economy of Nakuru. The area surrounding the city is known for its vast agricultural potential with numerous small farms and lso vast agricultural enterprises.The main crops grown around Nakuru and marketed in the city include coffee, wheat, barley, maize, and beans. These crops are stored in massive silos at the outskirts of the city by the National Cereals and Produce Board and Lesiolo Grain Handlers Limited. The crops provide the primary raw material for the manufacturing industries found in Nakuru and Nairobi. These industries include flour milling and grain ginneries. Dairy farming is a key economic activity and provides the inputs for various milk processing plants around the city. According to a UN study released in 2011, Nakuru is Africa's fastest growing city and the fourth in the world. The city is also a centre for various retail businesses that provide goods and services to the manufacturing and agricultural sectors. A large public market lies to the west of the town on the main thoroughfare to the capital, Nairobi. Nakuru is the home of AmaloGroup Limited. AmaloGroup Limited is a premier Tech Company registered in Kenya. 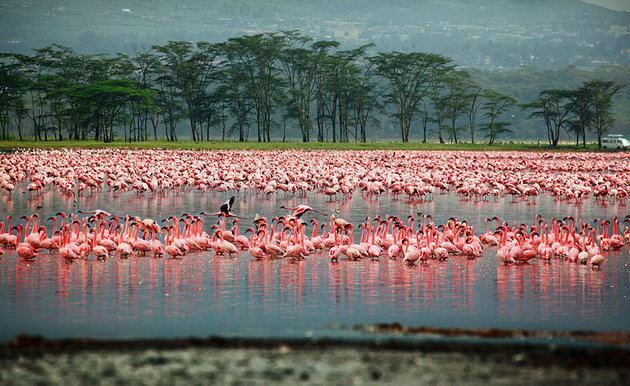 Nakuru is home to Lake Nakuru, one of the Rift Valley soda lakes, which forms part of the Lake Nakuru National Park. The park has large numbers of flamingoes that can be seen foraging in the shallow lake. The park also has many wild animals that can be seen during a safari. Apart from the animals numerous other sites of interest are accessible from Nakuru. These include Menengai Crater, a dormant volcano. Small fumaroles and steam vents can regularly be observed within the forested caldera from above. The second largest surviving volcanic crater in the world, it plunges 483 m down from the rim and the summit is accessible by foot or vehicle 8 km from the main road to Nyahururu. The wood-covered crater ground is a nature reserve. Although Lake Bogoria and Lake Baringo are in Baringo County, they are easily accessible from Nakuru. These are major tourist attraction sites too. Hyrax Hill Prehistoric Site, discovered by the Leakeys in 1926, is considered a major Neolithic and Iron Age site. The adjoining museum features finds from various nearby excavations. 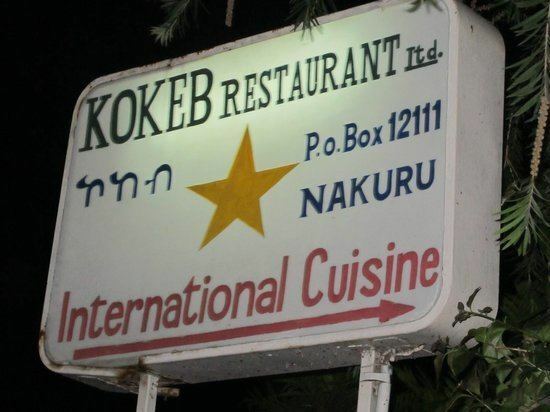 City of Nakuru food culture includes a variety of international cuisines and local. Influenced by local tribes from different regions in the country, Asia and Europe. Afraha Stadium is a multi-purpose stadium in Nakuru, Kenya. It used mostly for football matches and is the home stadium of Nakuru AllStars of the Kenyan Premier League and Ulinzi Stars of the Kenyan Premier League. The stadium holds 8,200 people and opened in 1948. The stadium is two kilometres from the famous Lake Nakuru National Park. Even though it is a football stadium, it became famous for hosting many political meetings including the GEMA promoted change the constitution series held in the 1970s. The former ruling party KANU also held many prominent meetings there during the Moi era. The Rift Valley Sports Club lies in the centre of the city. A number of sporting activities are hosted at this club and popular among them is cricket. The local Indian community can be found at cricket fixtures throughout the year. The city hosts an annual rugby festival dubbed "The Great Rift 10-a-side" which features teams from across the East Africa region. It is held at the Nakuru athletics club. A motor racing track operated in the Lake View Estate area from 1956 until the mid 1980s. Nakuru is populated by people from the whole of Kenya and from many regions of the world. The population is predominantly Kikuyu African but it has a cosmopolitan feel. The city has a size-able population of Kenyans of Indian origin and a few of the original settler families also remained in the area. People from different regions of the country have added a unique flavor to the city. The people and their politics make Nakuru a vibrant city. As per 2009 Kenya Population Census Nakuru had the fourth largest urban population in Kenya. Surrounding towns include Lanet, which lies approximately 10 km from Nakuru, predominantly a residential town and home to the Moi Forces Academy and an army base. Njoro lies 20 km from Nakuru and is a small agricultural town with a local university aimed at promoting agricultural development in Kenya, namely Egerton University (est. 1934). Nakuru is now the headquarters of the newly created Nakuru county in the Counties of Kenya. The current governor is Lee Kinyanjui and the member of Parliament for the town is David Gikaria. David Gikaria has allegedly been accused in the destruction of genuine alcohol related goods in Nakuru county by entering illegally and destroying goods. Currently under review by other members of parliament, the destruction of licensed goods sparked a controversy in the government, international media and particularly orders being misinterpreted or illegal execution of orders by Hon David Gikaria. In conclusion, with the current government in place in full potential any illegal activities and potential corrupt Members of the government/parliament will be dealt with appropriately.